Of the more than 1.8 billion websites on the worldwide web, a few million or more of them could accurately be described as beautiful, awesome, stunning, and of course, responsive. The use of imagery, together with responsiveness is essential; but what about other elements that are necessary to promote and nurture visitor retention? If a website is to be a success, which implies it is capable of keeping a visitor from moving on after viewing it for approximately 15 seconds, it must be designed with visitor retention in mind. 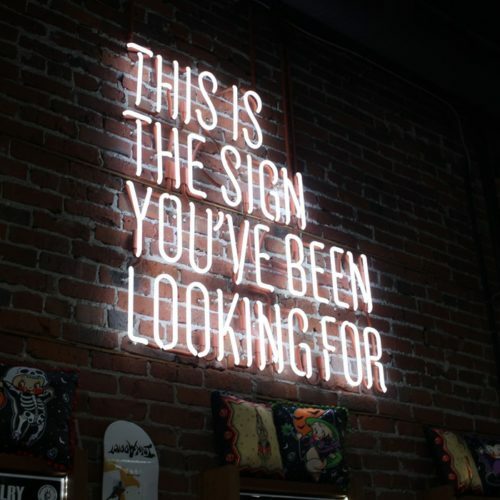 As you are about to see, visual experiences are not only necessary for visitor engagement and retention and building visitor loyalty; they have become mandatory. And, here is how you can create those experiences. Vibrant colors attract bees, butterflies, and hummingbirds, and entice them to hang around. Humans react much the same. It isn’t just the colors that do the trick however. It’s how they are used. Flashing lights soon become irritating, and colors that scream for attention will as well. The secret is to make clever use of color combined with an equally clever use of white space. Done correctly, it’s not difficult to lead a visitor to the text or video content that conveys important information. Where bold color and white space combine to create an eye-catching visual experience. When your website constantly surprises your visitors, it’s much more likely to retain their attention. You want them to be pleasantly surprised and looking for more. Just as bombarding them with colors can produce negative results, so can “in-your-face” popups (Act Now!!!) and excessive animation. Animate page elements to slide, zoom, or pop up. Slideshows on the home page can be extremely effective in generating and maintaining interest. Moving backgrounds (parallax) or having blocks of text pop up against a background image as a visitor scrolls down are also worthy of consideration. Don’t simply animate page elements at random, however. The movement should appear natural and not out of place. Like in this home page example. Click to see the animation effects. A slideshow with moving elements is hard to resist. Don’t make the mistake of placing video too far down the page. It’s most effective by far when placed above the fold. Placing it above the fold is also the best way to keep a visitor from swiftly moving on to another page or website. Encourage the visitor to click on Play. A video that starts automatically is seldom a good idea and can even serve as a distraction. Not only might a viewer require a few seconds to get “tuned in” to the video, but a self-starting video tends to disrupt the website’s natural feel. Note how easy it is to find the Play button. Clicking it on this screenshot won’t make anything happen. Instead, visit the website, click on the arrow, and be prepared to be entertained! Make sure the Play button’s color stands out (in this case, white is an excellent choice). Another tip is to use a frozen-in-action, or scenic thumbnail to attract attention. 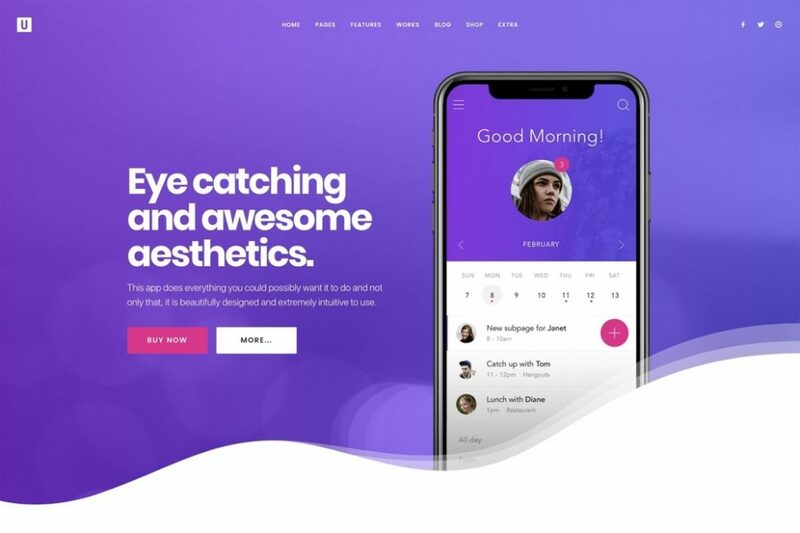 Get off to a super start in your quest to achieve high visitor attention with Uncode – the WordPress theme created to help you create stunning visual experiences. To experience where this WordPress theme can take you, visit its impressive demo catalog. 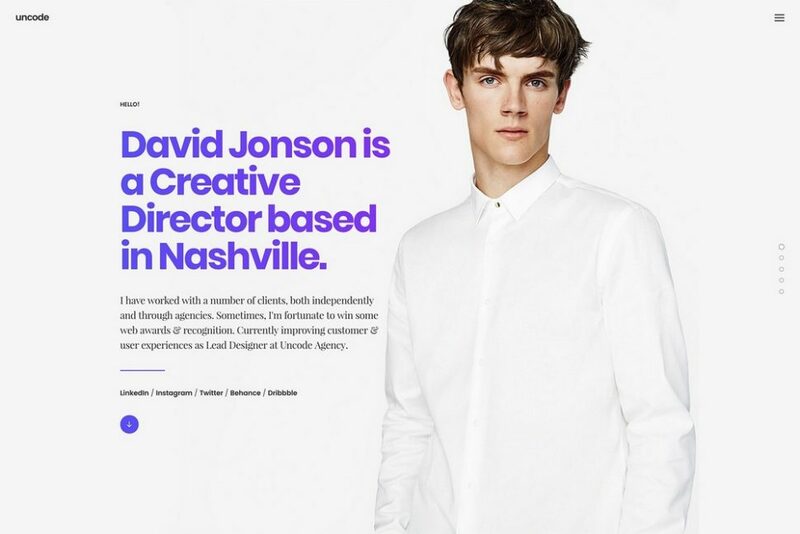 These demos illustrate why Uncode is perfect for designers, creatives, shop owners, marketers, and anyone else who wants a website that visitors will refuse to leave until they’ve accomplished what they came for. You don’t have to create pages from scratch, since everything is done for you. Worried about coding? Don’t be – that’s been done for you as well. It’s simply a matter of choosing a template, building a site with a few clicks, adding your content, and hitting Publish. The powerful and popular Visual Composer makes creating extraordinary visuals a snap. Online shop? Check out the WooCommerce Single Product feature. Tip: Before you start on your own, we suggest viewing the Uncode Showcase and see what others have done. Ideas and inspiration abound! Are you ready for the GDPR? Uncode helps you. 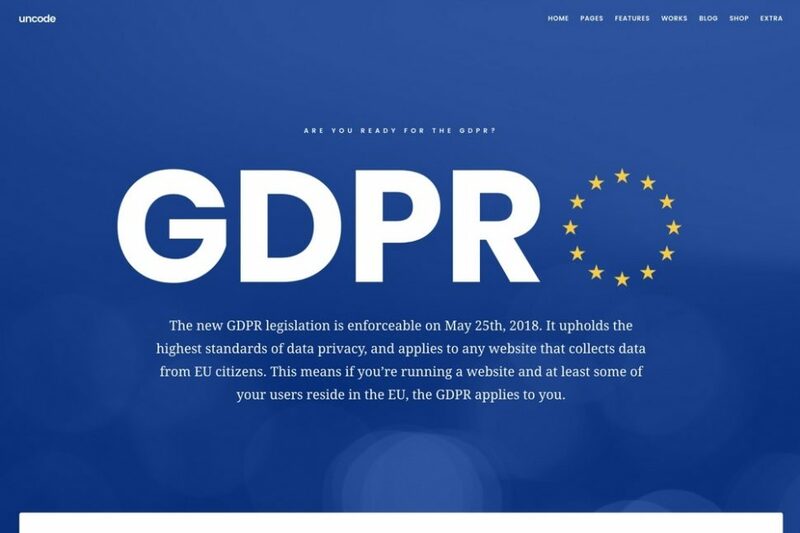 The new GDPR legislation is enforceable on May 25th, 2018. It upholds the highest standards of data privacy, and applies to any website that collects data from EU citizens. This means if you’re running a website and at least some of your users reside in the EU, the GDPR applies to you. Uncode helps you with new dedicated features. One of the best ways that you can use visuals to achieve high visitor retention is by using Uncode. 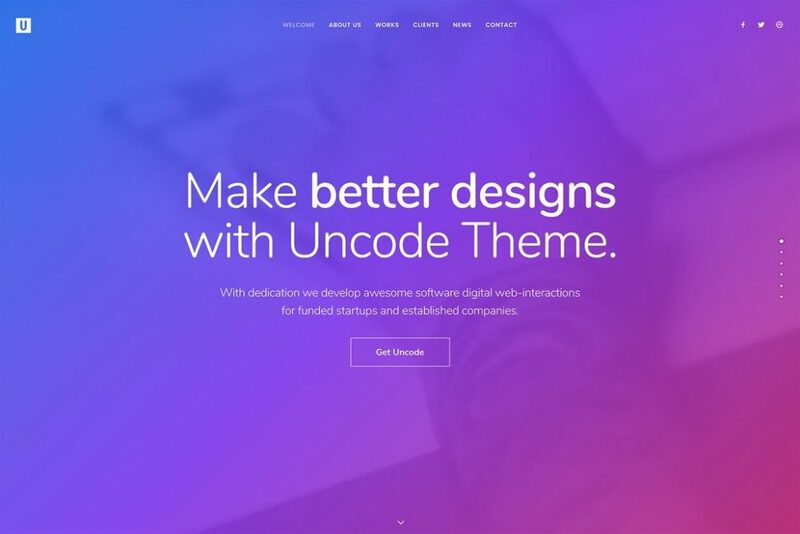 Uncode is a WordPress theme that takes a dull site and turns it into a stunning and creative experience. This theme comes with an extensive demo catalog. 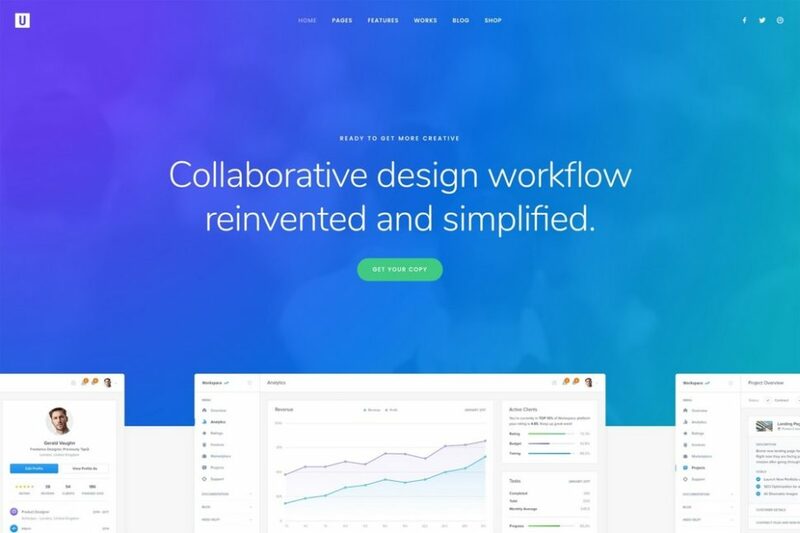 Uncode is for web designers, photographers, video makers, bloggers, marketers, and business owners. Every demo in the catalog is unique. Each features Parallax images, one-click galleries, and elegant designs for eCommerce. Your website doesn’t have to be top dog among billions of websites, but it does have to stand out to gain high visitor retention – and here’s how to make it happen. Keep your visitors entertained. A constant stream of surprises is an excellent way to do so. 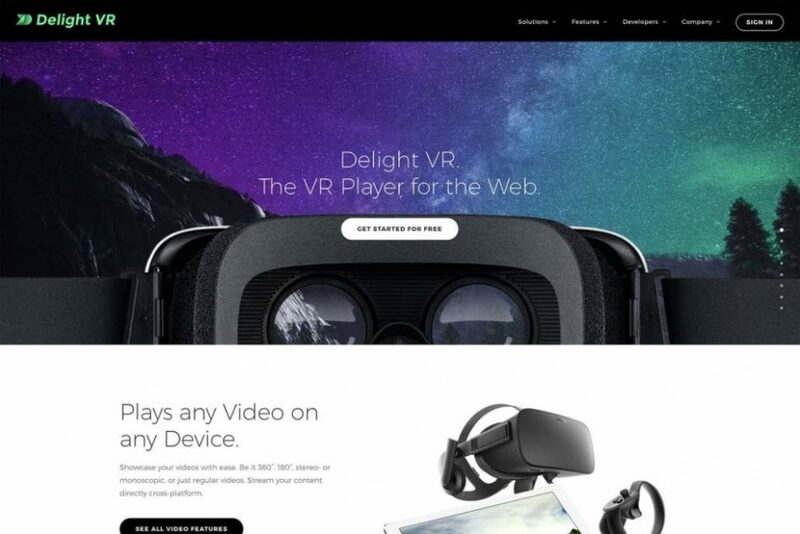 This is best accomplished by using stunning visuals, vivid color schemes coupled with a clever use of white space, animated home page elements, and an integrated, above-the-fold home page hero video. Uncode makes it easy to accomplish all the above with a few clicks, a few drags and drops, and zero coding. A stunning portfolio site, a blog guaranteed to attract a loyal following, or a flawless eCommerce shop can be yours in a few hours. Nice Post…With this Uncode wordpress theme options easily grabs user attention…Thanks for sharing information with us….